You probably know that they’re the fastest land animal in the world, but there’s plenty more to learn about these striking big cats. 1. THE FASTEST (KNOWN) CHEETAH WAS NAMED SARAH. Even among the superlative species, one cheetah had to be the fastest. And as far as humans know, that especially speedy cat was Sarah, who lived at the Cincinnati Zoo until her death earlier this year at age 15. In 2012, then-11-year-old Sarah was filmed running on a U.S.A. Track and Field-certified course at an unmatched pace of 61 miles per hour. It’s possible that wild cheetahs have run faster, but Sarah’s 5.95 second 100-meter dash holds the known planet-wide record. 2. CHEETAH’S HAVE A WIDE RANGE OF ADAPTATIONS THAT ALLOW FOR SUCH EXTREME SPEEDS. It takes a lot of distinct biology to be able to accelerate from 0 to 60 mph in under three seconds: Cheetahs have extra large livers to better mobilize the glycogen molecules that provide quick bursts of energy. They have enlarged adrenal glands, lungs, nasal passages, and hearts to accommodate extra oxygen in order to fuel their muscles. A comparatively long, heavy tail provides a counter balance for tight turns at top speeds. Without claw sheaths, their claws stick out even when retracted—providing cleat-like grip to the bottom of their feet. And fused tibia and fibula bones in the cheetah’s legs make them more stable when sprinting after prey. 3. BUT THESE ADAPTATIONS COME WITH A RANGE OF HANDICAPS. The cheetah’s fused leg bones make them far less proficient climbers than other big cats. Their oversized respiratory track and nasal passages take up too much room in the cheetah's skull for their jaw to accommodate large teeth. And the energy surges that give them their speed give off lactic acid that leaves the cheetah with painful cramps after just 30 seconds at top speed. Even if that wasn’t the case, after around 30 seconds of that type of exertion, a cheetah’s brain will begin to overheat. 4. AFTER A POPULATION “BOTTLENECK” ABOUT 12,000 YEARS AGO, CHEETAHS ARE GENETICALLY WEAK. In the 1980s, researchers made a startling discovery about cheetahs, who were known to be difficult to breed and prone to illness: they were all virtually clones of one another. Almost the entire genetic makeup of any one cheetah mirrored the genetic makeup of every other cheetah. Scientists deduced that the onset of the last ice age had decimated the cheetah population, leaving the few remaining animals to interbreed. The shrunken gene pool means that, even now, cheetahs have abnormally low fertility and are prone to birth defects that makes conservation efforts particularly crucial. 5. BECAUSE OF THIS, CHEETAHS ARE ON THE DECLINE. With an estimated 90 percent of cheetah cubs dying before they’re 3 months old, the population struggles to be self-sustaining. Combined with a loss of habitat to humans and stiff competition with even bigger big cats for dwindling food supplies, cheetah numbers have been decreasing for about a century. It’s estimated that over 100,000 cheetahs roamed the earth in 1900, but now that number has plummeted to a mere 9000 to 12,000 cheetahs in Africa with a few hundred more in Iran. These dire numbers have earned the species a spot on the Endangered Species Act list and a Vulnerable status on the International Union for Conservation of Nature Red List. 6. FEMALE CHEETAHS ARE LONERS BUT THE MALES SOMETIMES HUNT IN GROUPS. Female cheetahs leave their families at around 2 years old to roam and hunt alone in territories that stretch up to 1500 miles. Males, on the other hand, often remain in a group with their brothers, even after maturity. This facilitates the cheetah breeding practices, which—contrary to much of the animal kingdom—consists of females choosing their mates. 7. CHEETAHS HAVE BEEN HELPING PEOPLE HUNT FOR CENTURIES. Cheetahs have never been fully domesticated, but semi-tame cats have been helping people hunt for over 5000 years. From ancient Sumerians, to the Egyptian pharaohs, to the Indian emperors, and even farther north in Normandy with William the Conqueror, captive cheetahs have been prized hunting companions for the rich and royal. Akbar the Great, ruler of the Mughal Empire, was said to have hundreds or even possibly thousands of “pet” cheetahs. The footage above shows the practice still in place in India in the 1930s. 8. 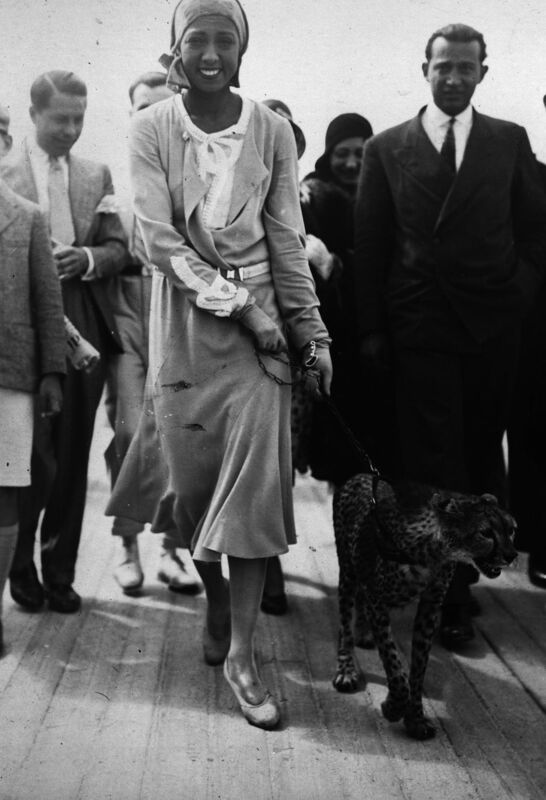 JOSEPHINE BAKER TOOK HER PET CHEETAH EVERYWHERE. For her show at the Casino de Paris in 1930, club owner Henri Varna gifted Baker with a cheetah named Chiquita to appear in her act. After the show, Baker kept Chiquita as a beloved pet who went everywhere with her: riding in her car, tagging along on vacations, sleeping in bed with Baker and her lover/manager, and even—according to famed fashion editor Diana Vreeland—going to the movies. 9. 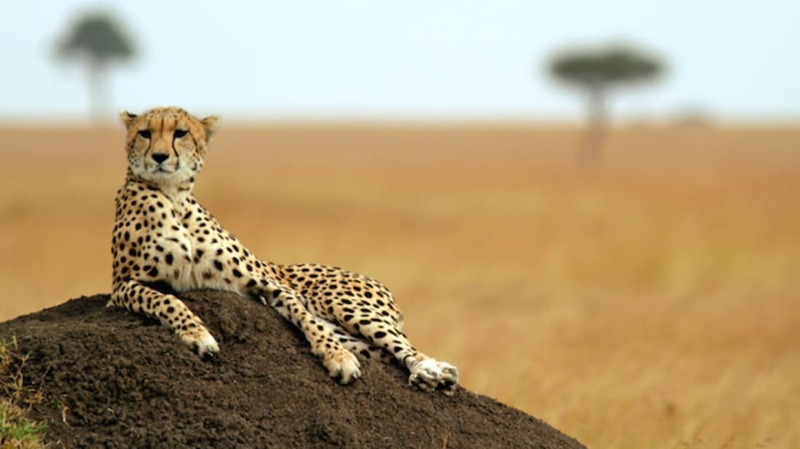 MOST OF THE TIME, CHEETAHS ARE PRETTY LAZY. Even though they're known for their incredible sprinting abilities, cheetahs actually spend most of their time doing nothing at all—almost 90 percent of their time. A 2014 study found that cheetahs only spend about 12 percent of their day actually moving. The rest of the time is spent lazing around, conserving energy for those big bursts of speed. 10. THE PHRASE “HAKUNA MATATA” FIRST APPEARED IN DISNEY’S CHEETAH. The 1989 live-action film told the story of a pair of L.A. teens who spend six months in Africa with their parents. At first reluctant, their adventure starts when they adopt a cheetah cub, give her the name Duma, and later have to rescue her from an evil Indian storekeeper with the help of a local Masai boy named Morogo. Although The Lion King was responsible for popularizing “hakuna matata,” the phrase first appears in this film. Unlike all other big cats, cheetahs can’t roar. Like housecats (and pumas), they purr but their most distinct sound is a chirping noise so bird-like it once confused Theodore Roosevelt. "When I first heard it," the former President once wrote, "I was sure that it was uttered by some bird, and I looked about quite a time before finding it was the call of a cheetah." 12. CHEETAHS ARE IN A GENUS ALL ON THEIR OWN. Cheetahs are the only members of the genus Acinonyx, which roughly translates to “non-moving claws.” Although they may resemble leopards or other big cats, their non-retractable claws and inability to roar set them completely apart. 13. SO-CALLED “KING CHEETAHS” ARE THE RESULT OF A RARE GENETIC MUTATION. First spotted in Zimbabwe in 1926, the king cheetah is notable for its distinct fur pattern of big blotchy black spots that often merge into one another to create stripes and other patterns. It was originally classified as a separate species by naturalist Reginald Innes Pocock, who later rescinded the classification. Although a couple dozen skins were discovered, the first king cheetah wasn’t photographed until 1974 and very little was known about what caused the distinct markings until two king cheetah cubs were born in 1981 and found to have a rare genetic mutation. 14. ENGINEERS ARE LOOKING TO CHEETAHS FOR ROBOT INSPIRATION. Two separate groups of robotics engineers have recently made strides with robots based on a cheetah’s gait. In 2012, Boston Dynamics set a new record for legged robotic land speed when their robot, The Cheetah, topped 29 mph on a treadmill. And just last year, MIT upped the ante with another headless cheetah robot—this time government-funded—that can run untethered and navigate its own way over obstacles. 15. DOGS MAKE GREAT COMPANIONS FOR CHEETAHS IN CAPTIVITY. For baby cheetahs without maternal care—either because they’ve been orphaned or separated from their mother for medical reasons—human caretakers often introduce the cub to a puppy to serve as a companion. The two form a strong intra-species bond that provides a benefit into adulthood. Cheetahs are naturally anxious animals built for “flight” in the face of uncertainty. Dogs, on the other hand, are bold and curious, which allows them to provide a calming presence and set of social cues to their cheetah pals.